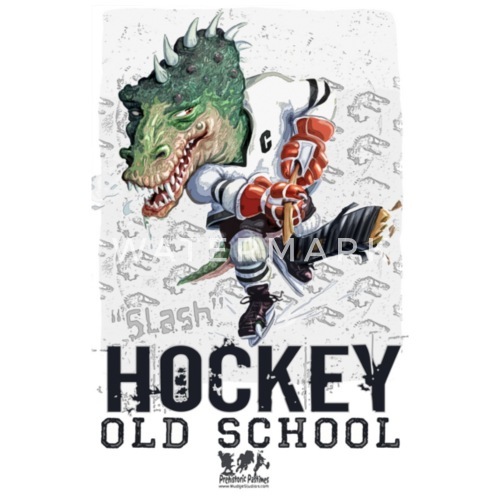 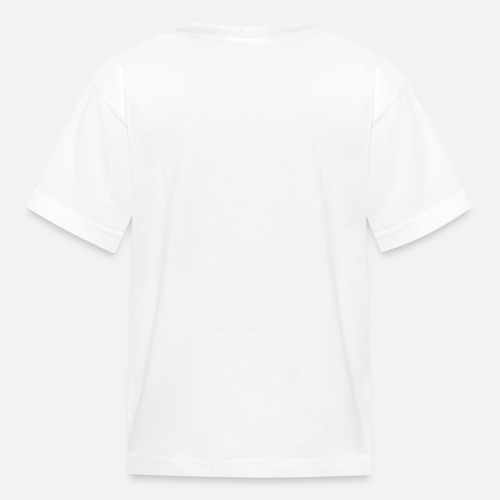 Cool Old School Dinosaur Hockey shirts and gift ideas from Mudge Studios. 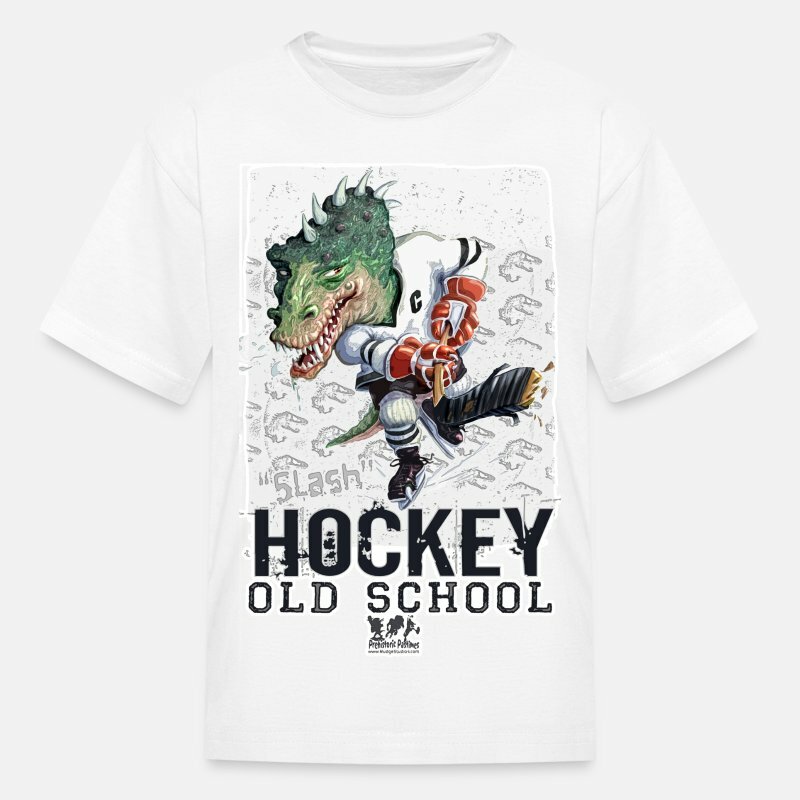 Featured is Slash in all his glory with a Slap Shop to the back of the net for a goal. Great Action for Dinosaur and Sports Lovers.